Catteries, Rescues, Shelters and many pet owners will likely have a need for treating for Giardia at some point in their lifetime. Giardia is just one of the protozoan parasites that cause diarrhea in cats. Giardiasis is caused by the Giardia intestinal is parasite. Cats have to drink or eat the parasite in order to become infected. Usually, cats develop this infection after drinking contaminated water or eating contaminated feces from another animal. Treating the protozoan disease caused by giardia infection is difficult requiring 7 to 14 days with a pill, liquid formula or powder use to mixed with feed? Treating with Seconidazole has the advantages of single dosing, less stress for animals with the extra benefits of reduced cost and reduced cyst contamination of environment. A Brazilian study published in 2011 took a look at the drug Secnidazole as potential treatment for naturally infected cats. This study indicates Secnidazole is as effective as full course of Metronidazole – 95-100 percent – but only has to be given one time where as Metronidazole is giving continually for 7 to 14 days. Since it is off label for use in cats, the key is getting your veterinarian to prescribe Seconidazole and Pharmacy to “compound” the drug. I am hoping that soon, this treatment will be readily available for use in cats as we have seen outstanding results from those who have used it in treatment. What I like most about using Seconidazole is the potential to treat Tritichomonas based on activity. Giardia and Tritichomonas are almost clones in look requiring superior skills to distinguish between the two protozoan. 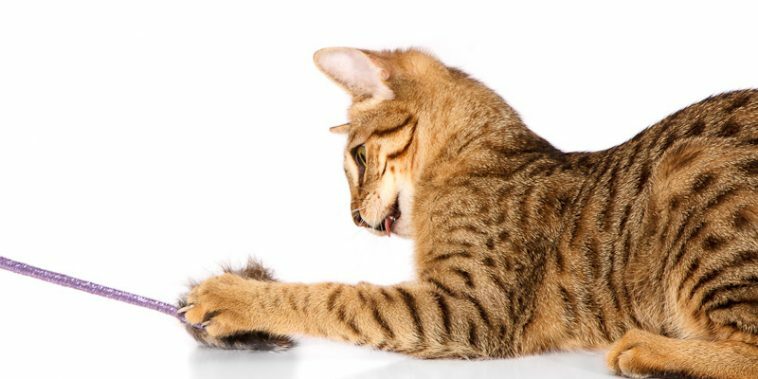 ← Is Gum Disease In Savannah Cats Genetic?